Its really easy to be seduced by opting for a one of those cheap web design offers; you know; “get your own website for just £199 – 100s of superb templates that work”. Or to save money, you actually believe the bloke down at the pub who says “my sister’s best friend’s boyfriend’s brother is in IT – he can do you a bangin’ website for a couple of hundred as a favour.” And yes this still happens, we often have to pick up the pieces. But at the end of the day, as with most things, if it looks too good to be true it probably is. And the same applies to cheap Web Design – it can end up costing you. These days, everyone you want to do business with will check out your website. So it has to sell your proposition – instantly. Your website is the foundation of all your outbound marketing campaigns. Its where all your prospects end up – and where you need to convert them. So a really creative website design must enable potential customers to find, understand and remember your business. However, this will only happen only if your website is designed professionally from the ground up and fully integrated with your brand and product proposition, preferably by an experienced website design agency. If not, then it will just be another bad site that, if you are lucky no one will find, that will put off more of those hard-earned prospects than it converts. What will make your website design stand-out and grab the attention of valuable potential clients? Your website must also be designed to must convey the essentials of your business proposition clearly – and in your customers’ terms – not yours (more on this later!). And quickly – you have 10 seconds to make an impact. You can read our blog about the elements of a successful website development project here, but what are the risks if your website design fails to achieve all this? Its important that visitors to your site perceive you, the way you want them to perceive you. A badly designed website can totally misrepresent your business proposition and this will destroy your brand image. Visitors will make all sorts of assumptions if they are unable to find out what your business represents through your website. You want them to be absolutely clear about what you do and why they should pick you. Match your website design to your brand identity and this will happen. If your website accidentally conveys a wrong or negative message, then it may actually make visitors misunderstand you and your brand. The business may never be able to recover from this as its hard to change perceptions once set. One of the great features of the web and social media, is that word spreads fast – remember that this can work against you as well! If sales are not meeting target, often businesses will spend time and resource trying to treat the symptoms, but actually fail to realise that it’s their brand image which is fundamentally causing them trouble. A company’s brand image is now mostly recognised through the website, and those businesses that continue to struggle along with an ineffective web design, will continue to scratch their head as to why all their efforts seem to be ineffectual. This will cause lasting damage to your business, but is fact that a lot of businesses still soldier on with a badly designed site and talk themselves into believing that its good enough, and anyway a top website will cost a lot of money. Small and Medium sized business, are tempted to save money by investing the minimum they can on marketing. Either by trying to do it themselves, (its pretty easy if you have basic IT skills), get a friend to do it, or they hire a cheap designer. If they are smart they will eventually realise that their website doesn’t look professional. So, they again search for another designer. However, this time they hire an expensive designer, believing that the more you pay the better result you will get. If they are smart and lucky they will then find a marketing and web design agency who can advise about how to align the website to the business strategy and create a site that both looks good and works hard to create a stream of great pre-qualified prospects to fill the sales funnel. Doing it themselves or getting an amateur to do the job is not cost effective, and will actually cost more in the future. 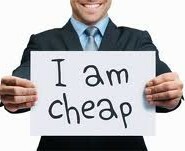 Also, the cheap fixed-price websites often come with an ongoing monthly maintenance payment, which if costed up over say 24 months end up massively inflating the original price! Commonly, after designing a website, businesses use it as a destination to promote their business via different means such as sales literature, direct mail, e-marketing, radio advertising etc. You invest in marketing to attract prospects to your website. If you don’t have a good website destination, you will end up wasting that marketing investment by driving traffic to a badly designed website. It can all be very simply avoided by hiring an experienced professional who is a proven website designer who understands the power of great graphic design, the various technology options for website development AND who really understands the fundamentals of SEO (search engine optimisation) and SEM (Search Engine Marketing). Successful business owners are best doing what they are specialists in, and need to get genuine specialists to support their activity. Promote your business effectively with top quality website design and position your business properly in the market.